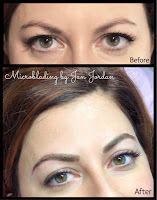 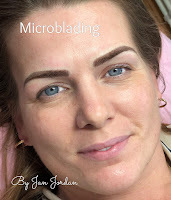 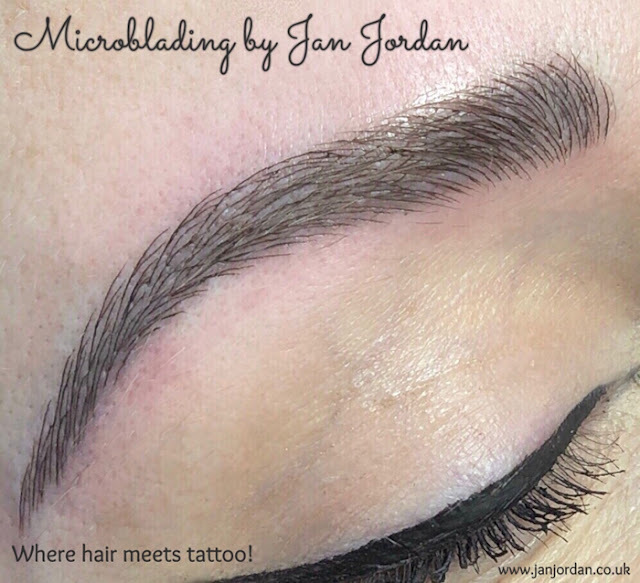 Jan Jordan, one of Surrey’s highly acclaimed Top Micro blading artists - get the latest look! 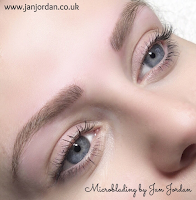 Check out Jan Jordan's Gallery to find a solution to your eyebrow issues. 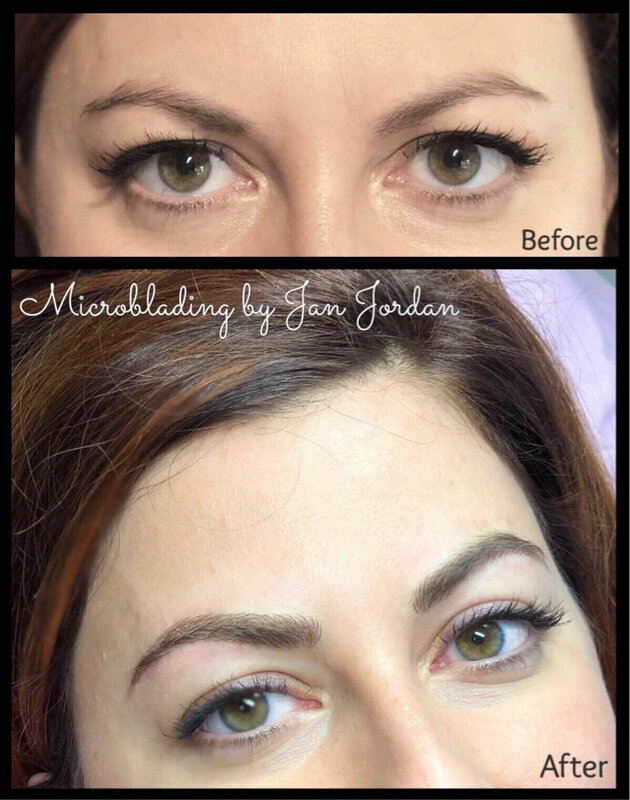 Microblading is one of the techniques used to implant pigment into the skin. 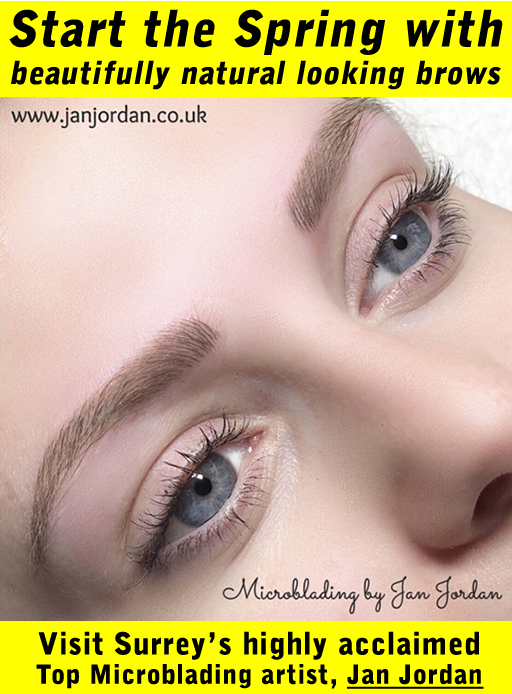 This method creates very fine hair strokes, which are etched into the skin using extremely fine needles. 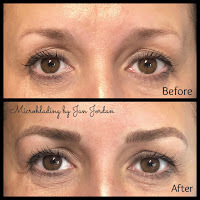 The result is beautifully subtle and natural. 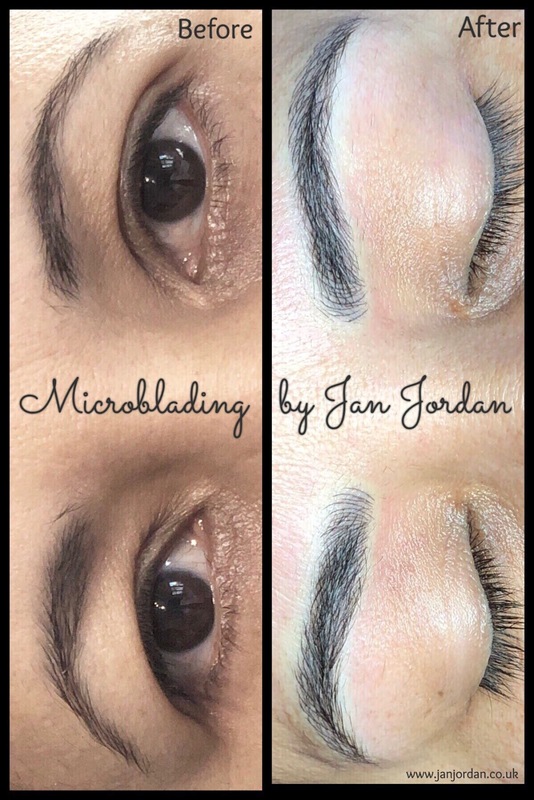 For certain skin types, Microblading may not be a suitable option and I will decide once I have accessed your skin, as to whether or not this is the treatment for you." 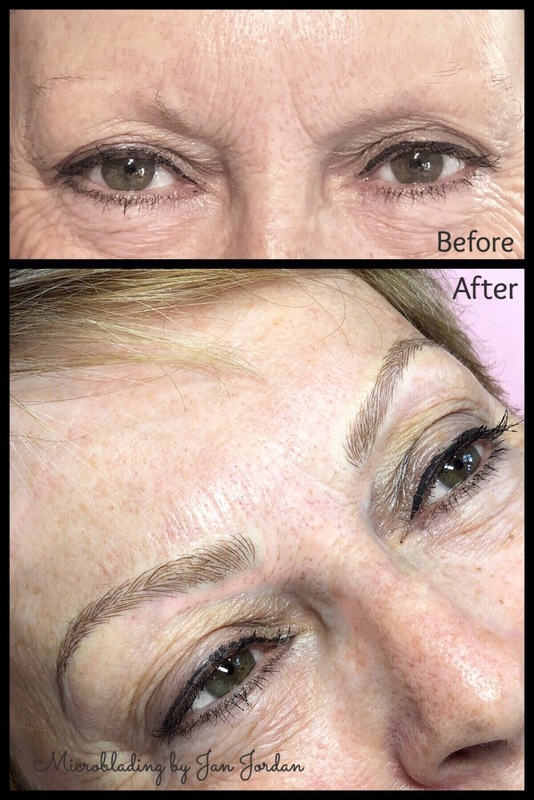 There are other techniques which might suit you better. 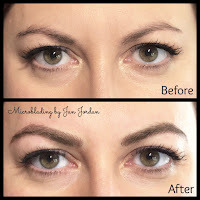 A much more flattering brow shape for this client. 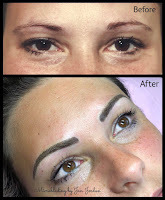 I can give you the brows you’ve always wanted. 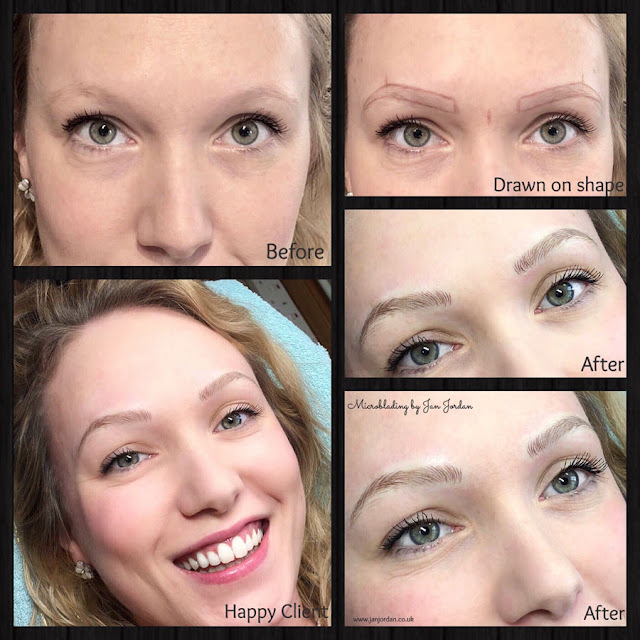 Check out the Gallery to find a solution to your eyebrow issues!